FTC has been producing events left and right this summer. 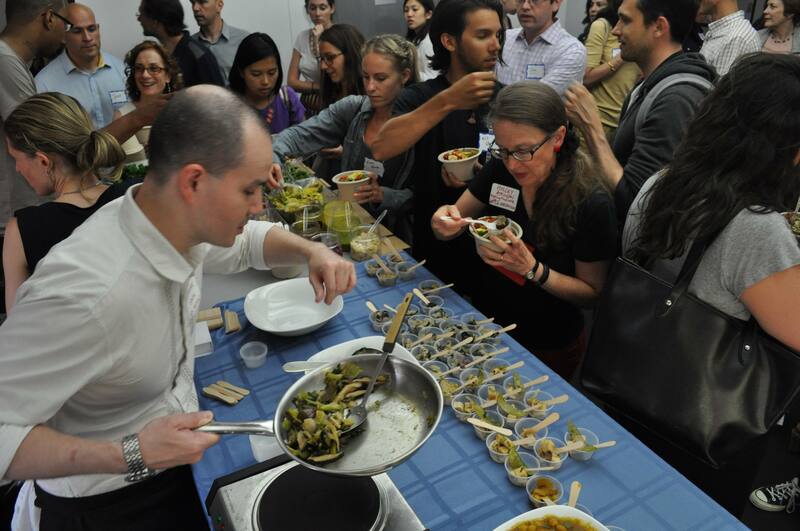 Last Tuesday, 100+ members of the food tech community joined us for our “How Nutrition Tech Personalizes Eating” Food+Tech Meetup. Five innovators who are leveraging technology to make food healthier, more transparent and personalized discussed their missions, business models and technologies, as well as their lessons learned. Check out our recap of the evening below. We will also be publishing videos of the presentations in the coming weeks, so stay tuned. 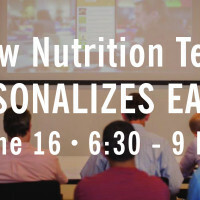 You can learn more about our Food+Tech Meetup and get notified about future events (don’t miss our Fail Friday Meetup this Thursday, June 25) here. 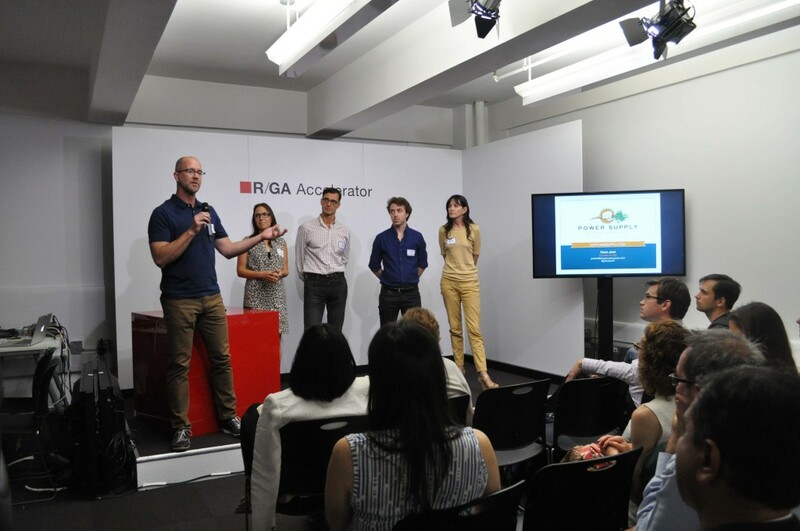 We’d like to thank our killer food sponsors Ox Verte, Meal Maison, Krunch Kitchen and Brewla and our host R/GA Accelerator. Learn more about R/GA’s new hospitality tech accelerator project Techstars METRO Accelerator here. 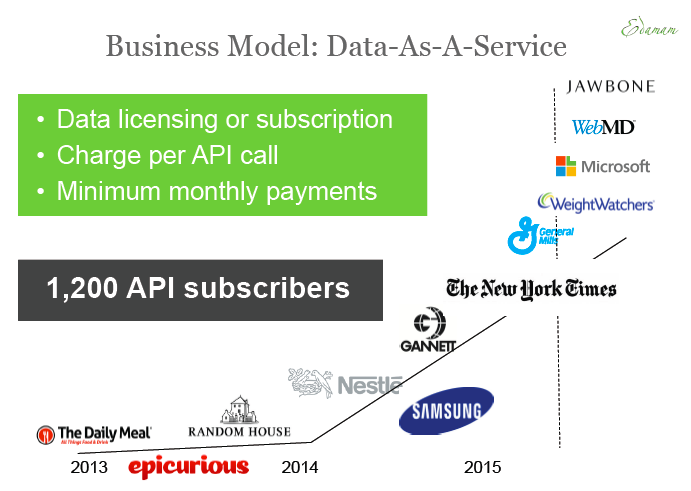 Data-as-a-service startup Edamam sells access to real-time food and nutrition data to food, health and wellness companies including The New York Times, Nestle, Samsung and Epicurious. After launching as a B2C business, Edamam listened to its customers and pivoted to B2B. Founder Victor Penev told the group that his team built its product for consumers because it’s the easiest way to sell a product to other businesses. For other data-driven food startups, Penev says data is an asset and he advises owning it rather than selling it outright. Edamam has raised $1.9M in funding to date. Ingredient1 helps shoppers discover healthy foods and empowers them to inform the market and make positive food change. Since launching in beta in April 2014, the startup has amassed a database of food product information that’s three times as large as the USDA’s; it contains 30k products and 20k ingredients. 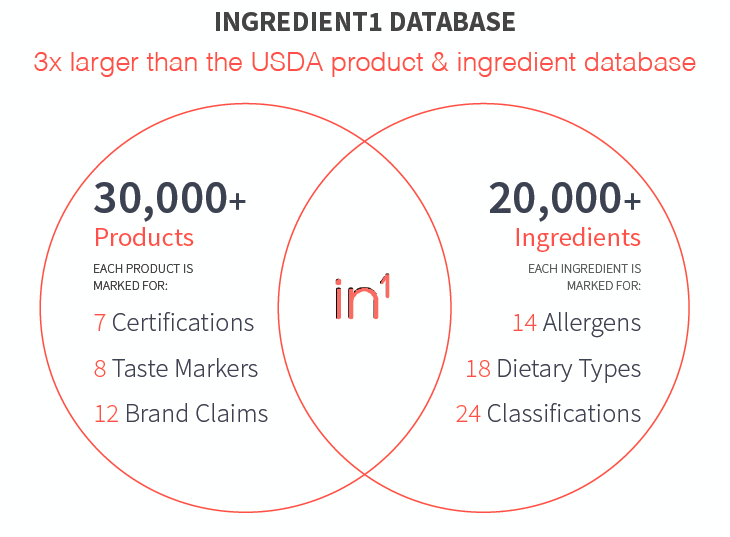 For brands and retailers, Ingredient1 offers data and analytics on new and relevant foods, as well as what shoppers care about and what products they are most likely to buy. “Ingredient1 focuses on ingredients now. Later iterations may focus on personalized wellness,” founder Taryn Fixel told the Meetup group. 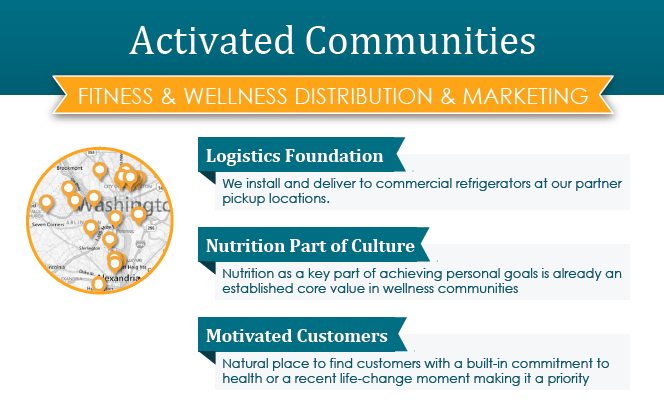 Power Supply offers tasty and healthy meals made by networks of independent local chefs and delivers them via custom refrigerators at partner activated fitness and wellness communities (i.e CrossFit boxes, yoga studios, etc) in Washington DC and Los Angeles, CA. Its meals cater to people with specialty diets, chronic diseases and those who want to focus on clean eating. Co-founder and CEO Patrick Smith advised the group to have negative operating capital, because it allows your startup to fund itself until it finds product market fit. He also highly recommends focusing on a specific niche like Power Supply does because it limits the competitive field and makes customer acquisition easier. Smith encouraged the group to read Getting to Plan B by Randy Komisar, Zero to One by Peter Thiel, Effectuation.org by Saras Sarasvathy and Drive by Dan Pink. Power Supply raised $515K of debt financing in December 2013. HowGood researches and rates the environmental and social impact of food products and partners with grocery stores to display its ratings in 26 states. Its app helps customers identify products that fit their values and its rating labels enable stores to showcase their commitment to transparency and sustainability. 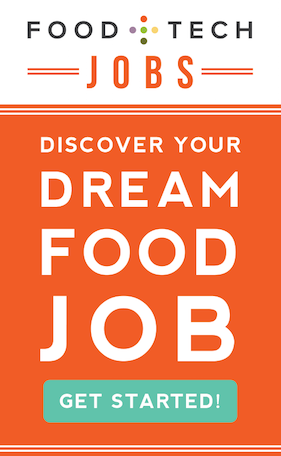 The startup spent 5 years researching and building its database of sustainable food using data from sources including the USDA, Animal Welfare Approved and Seafood Watch, co-founder and CEO Alexander Gillett told the group. Products that have a high HowGood rating have seen in-store sales increase by an average of 31%, according to Gillett. 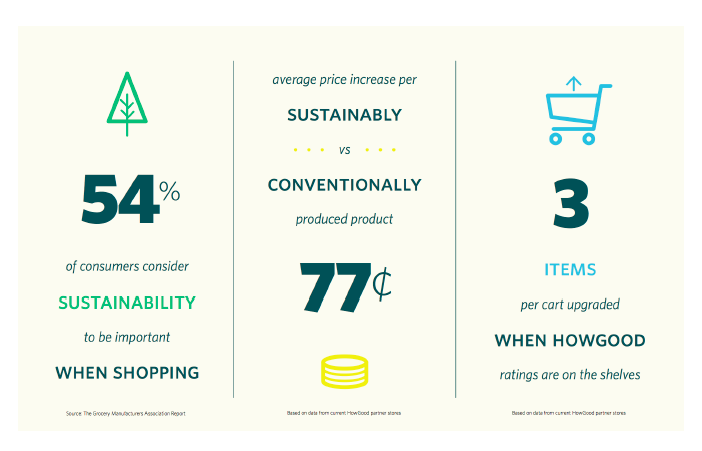 Customers upgraded an average of 3 products to more sustainable alternatives in stores that use HowGood’s ratings, which translates to a $2.31 sales bump per transaction, Gillet noted. HowGood raised $2 million in seed funding in September, 2014. 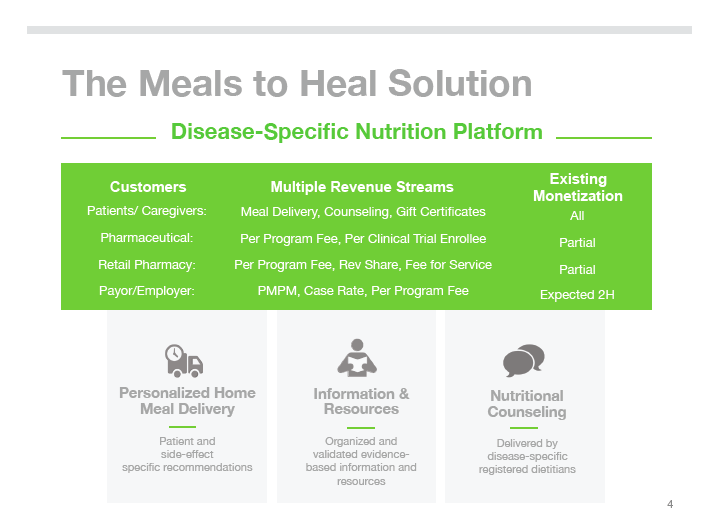 Meals to Heal offers personalized nutrition solutions for people suffering from chronic medical conditions. Its three tier approach includes personalized healthy food delivery, educational resources and nutrition counseling. Founder Susan Bratton had a lot of advice and lessons learned to share with the group. Regarding product development, she said “listen to what your customers want and build for them.” Bratton recommended following the Lean Startup Method; “Nothing is sacred, fail fast,” she said. 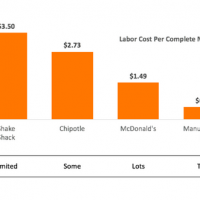 When it comes to marketing, Bratton recommended testing in small dollar amounts to see what’s working and what’s not. 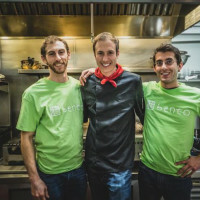 Meals to Heal participated in Startup Health.